Having recognized this truth, I began to devise means for carrying out my idea, and, after long thought, I finally conceived a combination of apparatus which should make possible the obtaining of power from the medium by a process of continuous cooling of atmospheric air. This apparatus, by continually transforming heat into mechanical work, tended to become colder and colder, and if it only were practicable to reach a very low temperature in this manner, then a sink for the heat could be produced, and energy could be derived from the medium. This seemed to be contrary to the statements of Carnot and Lord Kelvin before referred to, but I concluded from the theory of the process that such a result could be attained. This was at a time when my mind was being more and more dominated by an invention which I had evolved during the preceding year, and which has since become known under the name of the "rotating magnetic field." 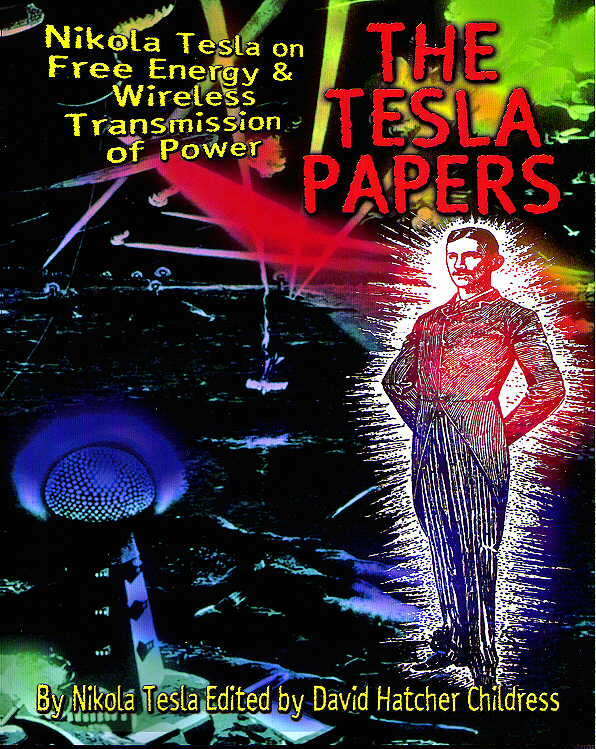 Tesla's numerous inventions could be applied in a variety of ways for military purposes, e.g. particle beam weapons, world radar, earthquake contrivances, brain wave manipulation. One or more magnifying transmitters could theoretically send destructive impulses through the earth to any location. For instance, a well placed jolt of many millions of volts could theoretically destroy the communications network of any major city. Recent discourses on potential future warfare technologies stemming mainly from parapsychologists such as Tom Bearden [2, 3, 4] and Andrija Puhrich [28, 29] suggest that the Soviets have already harnessed various Tesla weapons including apparatus for weather and mind control [41. 53]. In the fall of 1976, an ominous 10 Hz transmission picked up in Canada and in the northwestern part of the United States was attributed to Soviet-Tesla mind-control weaponry experiments . These extremely low frequencies (ELF waves) labeled "woodpecker transmissions" are hypothesized to be Soviet attempts to "entrain" the brain waves of Americans. Through modulating this resonant neuronal frequency, detrimental effects in thought processes and even health problems could supposedly be augmented [3. 5]. Puharich  has invented a device to protect a person from such dangerous transmissions.